Our Perfector Kawena Facial: Includes: cleansing, steaming, extractions, high frequency and a Perfector Micro/Nano-Current lifting treatment. The Perfector “whispers” to your cells to increase their regeneration and “talks” to your muscles to re-educate your muscles. Muscles that have become elongated (jowls) will shorten. Muscles that have shortened over time (lip wrinkles) will lengthen and relax. The Perfector is FDA approved and painless. Our Hyda-Dermabrasion facial w/oxygen Facial includes: Cleansing, steaming, extractions, high frequency, exfoliating with diamond tip microderabrasion, oxygen induction with a specific ampule chosen for you, infusing in a hydration solution into your skin, and finishing with a soothing, calming peel-off mask. This is a great way to exfoliate a dry skin without stripping it. 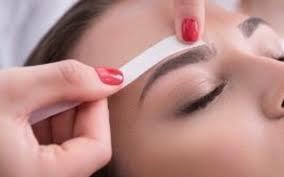 Our Collagen Induction Therapy ( Microneedle) Facial includes: cleansing, steaming, extractions, high frequency, stem cell ampule, microneedle and a soothing and calming peel-off treatment mask. For most clients we use a stem cell ampule. It helps to tighten, firm, and repair the skin. Includes: cleansing, steaming, extrations, high frequency, crystal microdermabrasion, and a soothing and calming peel-off treatment mask. Traditional crystal microdermbrasion works by bursting crystals onto the skin and vacuuming them up, leaving the skin smoother. Our SkinTech Enlighten Facial inlcudes: cleansing, steaming, extractions, high frequency, massage (neck, shoulder, hands), an Arbutin brightening mask and ultrasound. We utilize our exclusive SkinTech Enlighten products throughout this service. You will enjoy a brightened complexion after this facial. Our SkinTech Vitamin C Facial Includes: cleansing, steaming, extractions, high frequency, massage (neck, shoulder, hands), a Vitamin C & Collagen mask and ultrasound. Vitamin C helps stimulate collagen production and addresses sun damage. Our SkinTech Hydrating and Collagen Facial Includes: cleansing, steaming, extractions, high frequency, massage (neck, shoulder, hands), a Vitamin C & Collagen mask and ultrasound. You will feel softer and more hydrated with this facial. Combine one of our exclusive SkinTech facials, shown above, with a therapeutic full body massage. Our mini facial includes: Cleansing, steaming, extractions, high frequency, and mask. Helen’s Haven offers therapeutic full body massages. Your therapist can adjust the amount of pressure, however deep tissue is the most popular. Our therapists do more than a basic massage and it's a full 60 min. Benefits includes: relieves stress, relaxes muscles, increases circulation, helps insomnia, relieves migraines, decreases anxiety. Sometimes one hour is not enough! If your muscles are really tight, or you need more relaxation, you enjoy a longer massage. We specialize in therapeutic massage, more than simply relaxation. 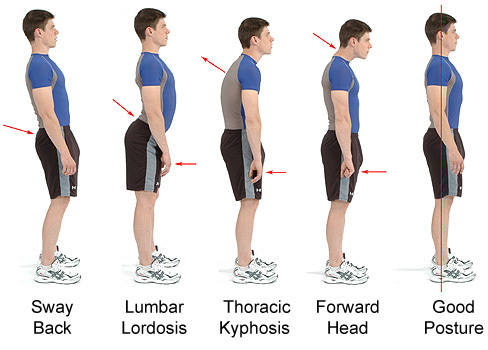 Posture Alignment includes an analysis to check your posture. Adjustments to posture are made by holding specific points that allows tight, tension filled muscles to relax. Relaxed, stress free muscles allow you regain a correct posture, ease muscle tension, and restore a healthy balance. This can be a stand alone treatment, or included in your 60 or 90 minute massage. This treatment is performed by Linda Manning who is an instructor for this method of posture alignment. In a hurry? Just have neck or shoulder pain? Enjoy a 30 minute neck and shoulder massage to ease your pain in those areas. Studies indicate that massage therapy performed during pregnancy can reduce anxiety, decrease symptoms of depression, relieve muscle aches and joint pains, and improve labor outcomes and newborn health. Benefits include: reduced back pain, reduced joint pain, improved circulation, reduced edema, reduced muscle tension and headaches, reduced stress and anxiety, improved oxygenation of soft tissues and muscles, better sleep. Light Emitting Diode (LED) phototherapy is the application of light energy to tissue to obtain therapeutic benefits. Originally developed by NASA for astronauts who could become injured or ill on a long-term space flight, the technology is used today as a safe and natural method of treating a variety of skin conditions. 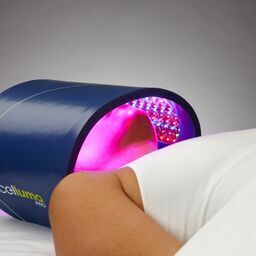 For acne the Celluma blue light will improve skin tone, texture and clarity, and kill bacteria. Blue light should be 465nm to be effective. We have pictures of one of out clients in our gallery ("about us- gallery") on the website, or bottom of the page on the app. She has cystic acne. The most important result she felt is that her face no longer hurt and she could wear her hair back. She always tried to cover her face with her hair. This can be added on to an acne facial for a discounted price of $40. LED therapy has many uses, depending on specific parameters. Celluma utilizes an 880 wavelength delivered at 2 j/cm2. What that means is proven pain relief for you. Do this as a stand alone treatment or add it on to your massage! Micro Needling is a treatment using an electronic pen shaped device, studded with very fine needles that penetrate beneath the skins surface to promote collagen fiber production, elasticity, and blood flow to the treated area. The process creates tiny wounds, breaking down old scar tissue and stimulating skin cells. Skin plumps and thickens, reducing the appearance of fine lines, wrinkles, acne scarring, large pores, hyper-pigmentation. There is no downtime or discomfort. Used by A-List celebrities and top super models, the Perfector utilizes microcurrent to regenerate cells and re-educate muscles. Perfector has several programs, which enhance cell regeneration, muscle toning, oxygenation, and circulation. Two of the programs are designed for highly efficient lymphatic drainage and detoxification. The Perfector “whispers” to your cells to increase their regeneration and “talks” to your muscles to re-educate your muscles. Muscles that have become elongated (jowls) will shorten. Muscles that have shortened over time (lip wrinkles) will lengthen and relax. The Perfector is FDA approved and painless. Discounts are available for packages of 6 or 12 treatments. A Classic lash set starts at $150 (about 60 lashes per eye) A volume lash set starts at $250 (more lashes for a fuller look) Re-lashes (fills) start at $40 but the price depends on how many lashes you need, and if it is a volume set. Lash Removal - $25 (allow at least an additional 30min for lash appt, or stand alone service -30min) LASH EXTENSION INFORMATION- Considerations before scheduling an appointment: Please be sure that… • Your eyes are symptom free of any infection and are fully recovered from recent eye surgeries or procedures. • You do not have allergies/sensitivities to acrylates or cyanoacrylate adhesives. • You are comfortable lying down for a few hours with your eyes closed. • You can refrain from exposing you extensions to excessive heat and steam for the first two days after application. Keep your lashes as dry as possible for two days. • You are able to refrain from wearing contact lenses for the first three hours after application. • You are able to avoid airbrushing or spray tanning for the first three hours after application. • You are able to avoid using eye products for the first three hours after application. • You are able to wait 24 hours after lash extension removal before having a new set applied. Day of your appointment: • Remove all face and eye makeup. • Wash your hair the night before, in order to avoid water on your lashes. • Remove contact lenses before appointment , and do not insert for three hours after application. • Stay away from caffeine, it will help you rest and relax during your appointment. • Do not apply heavy creams or oils to your face 24 hours before your appointment. After your appointment: • Do not curl your lashes on the day of your application. • Avoid water, heavy creams and cosmetics that contain oil for 48 hours. We recommend using an oil free eye cream for the duration of your lash extensions. • In order for your lashes to last as long as possible, we offer after care home products. Chemical peels are topical acids and ingredients applied to the face to encourage increased circulation, hydration, and cellular turnover. Your skin will appear smoother, softer, more supple and youthful. 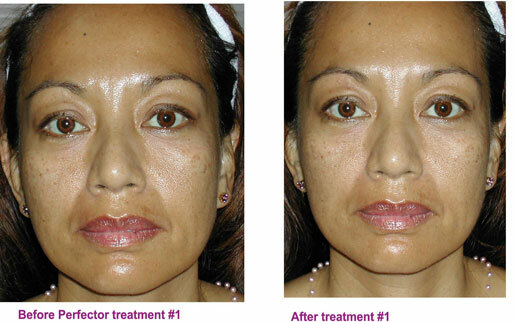 With these treatments, your skin is stimulated to behave like younger, healthier skin. Level I peels are safe for any skin type. Included with the Level I peel will be a lightening treatment with Volcanic Ash or a Vitamin C treatment with Volcanic Ash or an acne spot treatment depending on the condition of your skin. The Arasys inch-loss system is like doing exercise without having to go through the hassle of actually doing it. Past devices that claimed to stimulate muscles used electrical current to jerk and twitch them. The Arasys inch-loss system does not target the muscles themselves but the nerves that control the muscles. Using waveforms that resonate your brain’s own bio-electric signal, your body mimics the clean contraction you get during exercise. The benefit of Arasys is that your muscles don’t become overstressed because Arasys burns fat without depleting glucose. Afterwards, your muscles are not sore or fatigued. A 17-minute Arasys treatment has the same effect as 300 sit-ups and 400 buttock raises. Typical inch loss can range from 2-6 inches. The Arasys system also helps to speed up your metabolism, restores elasticity of your connective tissue, increases oxygenation and blood circulation, reduces cellulite, builds muscles, and boosts performance. Arasys has also been used to alleviate muscle pain and atrophy. Created by Gerry Pollock, co-inventor of the pacemaker, the Arasys was originally designed to help those with Multiple Sclerosis. It proved so effective at tightening skin that all kinds of medical professionals use the Arasys inch-loss system for various clinical purposes: medical spas for inch loss and cellulite removal, gynecologists to tighten abs after pregnancy, and plastic surgeons can use it to tighten skin after a liposuction. Arasys inch-loss system is safe, non-invasive, with no trauma on the muscles, and zero side effects. 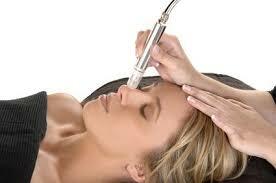 The Venus Freeze is used on the body at higher temperatures than on the face. The RF at higher temperatures induces lipolysis(think busting up your fat cells and releasing them into your blood stream). A cellulite and circumferential reduction may also be seen usually following the 3rd treatment. How many treatments are required to get good clinical results? Generally, the recommended number of treatment sessions is 8-10 for the body. However, the number of treatments may vary depending on the client’s characteristics. What is its effect on the fat cell? (MP)², magnetic pulses used with the radio frequency, raises the temperature of the treated area, and induces lipolysis — enzyme-mediated breakdown of triglycerides into glycerol and free fatty acids. These fatty acids pass from the fat cell into the blood stream, and the volume of the cell is reduced. The fatty acids may be metabolized by various cells in the body, or restored again as triglycerides in fat cells. Simply put, inducing lipolsis destroys your fat cells and releases them into the blood stream. What is the difference between the Venus Freeze MP(2) technology and other RF technology? Other Radio Frequency technologies necessitate the use of active cooling to avoid skin burns. Venus Freeze’s hand-pieces deploy much less power, since its poles work very efficiently and generate focused and homogenous heat with no need of cooling aid and no risk of skin burns. Give your brow a little more color. Similar to any hair color, it lasts about a month. We can make your brows darker, however we can not lighten dark brows. Define your eyes with dark lashes. This does not make your lashes longer, like extentions, however it does make your lashes more visible.